In last 20 years we have seen the world is more connected. There is significant growth in number of devices (mobile, laptops, and wearables) connected to internet along with timely revolutions in network bandwidth and telecom network generations (3G, 4G and 5G). According to Digital in 2017 survey conducted by We Are Social and Hooitesuite, more than half of world is using internet. With so many devices involved in big network, huge amount of data is produced and stored on servers of companies and organizations. The data produced and the way individuals are using devices triggered the opportunities for companies to go for digital transformation. Companies observed the vast amount of data is being generated by people around the globe. Also with smartphones in hand consumers are responding to communication made to them as well as they are constantly engaging in various apps which ultimately generate information for service providers. This observation resulted into the need for organizations in different industries to initiated journey of digital transformation. Technology innovations (AI, Big Data, IoT, Blockchain, Cloud Computing, etc) helping organizations to increase customer experience and engagement, optimize operations to increase efficiency and transform existing products or introduce new products to gain competitive advantage. The core of digital transformation is how companies are leveraging data to get insightful analysis out of it. Data sources can be internal within organization (e.g.sensors, machine log data) or from external sources like (wearables, social media, mobile apps, media, archive, sensors, public web, etc). As you all know that Cloud Computing is nothing but the use of shared computing resources like servers, applications, networks, storage and addon services. Cloud empowered businesses to use these services on-demand rather than investing time and money on building own infrastructure. Whenever any business comes across the need to set up the digital infrastructure they can do easily with cloud in pay-as-you use basis. As cloud started evolving in IT business, offering related to cloud categorized in to Software-as-a-Service (SaaS), Platform-as-a-Service(PaaS) and Infrastructure-as-a-Service (IaaS). But that is all about a cloud services which are offered publicly by vendors like AWS, Azure, Google, etc. Other version of cloud emerged which enabled the business to setup similar services for internal or private use. For this cloud version, businesses need to hire expert resources or outsource management of it to third-party vendors. Further moving ahead, combination (Hybrid) of both kind of cloud is also made possible due to the need by companies to have sensitive data or operations process within company premises and use public cloud for specific tasks or to just act as supplementary in demanding situations. With all these types of environment offered in cloud computing arena, businesses and many sectors achieved a huge boost in their roadmap for digital transformation. Around year 2000, many organizations started leveraging new technology innovations to transform their business models. Initially, businesses incorporated digital technologies in back-end and front-end operations for better customer management. Organizations within public domains (healthcare, finance, insurance, government, etc) started using the power of IT infrastructure which builds on cloud and with use of mobility and social technologies. The reason is to radically improve operational performance and reach of organizations. Cloud played a vital role in most of the innovations done. Using cloud capabilities was the base for having global outreach for businesses and organizations. Big Data basically is term for large volume of structured, semi-structured and unstructured data sets. To process such data a traditional database applications are not enough. Moreover, big data requires huge amount of storage and computing capabilities to run functions like querying, updating, create visualizations, etc. For a cloud, generally a public cloud which itself is a data center infrastructure built by large vendors and shared among clients over the globe. Amount of storage and computing capabilities demanded for big data is almost not possible in cloud. But it is still possible to leverage cloud benefits in hybrid cloud model. Companies can deploy on-premise cloud to have control over big data storage, addressing security and privacy concerns along with taking advantage of public cloud infrastructure for analytics operations. Tech giants including IBM, Microsoft, Dell, AWS, Google, Teradata, etc. are offering advanced data analytics services. Cloud is delivery model for It services which gives on-demand resources anytime and anywhere. 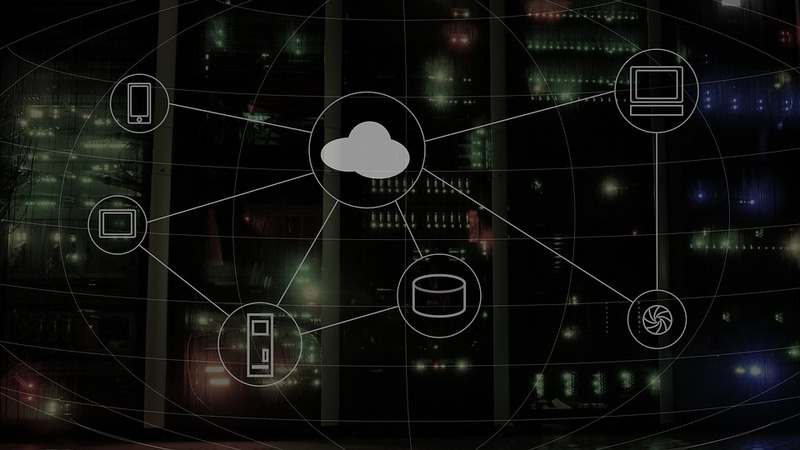 To access cloud resources you just need to connect to a network (any internet connection) and make use of data center capabilities. Cloud is integral part in architecture of any kind of IoT based deployment model. IoT involves the network connected devices (sensors) which collects and processes information from integrated devices (for e.g. mobile, car, robots, etc). Due to innovations and growth in other technologies, number of connected devices has increased which are producing large amount of data to store and process. Widespread and easy-to-access nature of cloud computing allows all those devices to get access to cloud infrastructure using an internet connection. This enables organizations to deploy monitoring services and store data collected from devices for analysis purpose. Artificial Intelligence is biggest disruptor in technology domain and we will see major revolution in how enterprises were using innovative technologies in operations. According to predictions by Forrester research firm AI based insights driven businesses will steal $1.2 trillion revenue annually by 2020. That is huge. Basically, cloud computing is infrastructure provided on demand and AI is means of using those resources. Cloud helps AI with information to learn and AI can provide data to cloud. With cloud computing, businesses can utilize AI capabilities on computing devices. Leading cloud providers are offering AI services in two flavours: cloud machine learning platforms (Azure Machine Learning, AWS Machine Learning and Google Cloud Machine Learning) and AI cloud services (IBM Watson, Microsoft Cognitive Services, Google Cloud Vision). It has been discussed now that AI is going to revolutionize cloud infrastructure as well. Cloud itself is going to be AI-first cloud. Currently, cloud providers are providing machine learning platforms but with new wave of AI, cloud will possess advanced capabilities like executing programs in deep learning programming framework and then align these capabilities with subsequent offerings under public cloud SaaS umbrella. Cloud will be backbone of AI in most of the use cases. For e.g. in cyber security, data stored on cloud environment will be used by AI applications to learn and respond in agile way. Any breach happens around the globe will be encountered. Job for humans (scientists or engineers) will be to teach AI systems how to track and respond to breaches. People around the globe can connect, share data (photos, videos, etc) and communicate with each other using social media. Emergence and expansion of social media channels was the key transition in digital transformation journey for number of organizations. Social media channels are taking big advantages offered in cloud such as cloud storage, data backup, on-time, convenient access to applications and data. With only any type of internet connection one can easily log in to social media channel and start accessing applications, data, sharing photos and videos in real time manner. Innovations like 3G, 4G and now 5G are helping to generate more and more data to store in cloud with reduction of delivery of applications and services to devices. Apart from storing and delivering data over the globe, cloud computing offers major advantages for businesses. And this advantage is feature for digital transformation. Cloud computing service and delivery models revolutionized with innovation in technologies. Service and deployment models of cloud computing is gone further with advancements. Big data analytics and AI capabilities disrupted the cloud infrastructure and service models. Public cloud providers are now providing analytics and machine learning services for their customers. Data coming for social media data sets are essential for companies to understand user mind-set, likings and habits. Learning from this kind of data is become very crucial for companies to create either new products, offerings for customers or make changes to existing offerings. Combination of cloud computing and analytics allowing any organizations to better serve their customers and gain competitive advantages. With cloud and analytics companies started better understanding the customer orientation and accordingly transformed their operations and customer engagement. Increasing number of devices, emergence of 3G and 4G networks, growth is use of social media applications on smartphones generating huge amount of data to store and process in cloud computing environment. 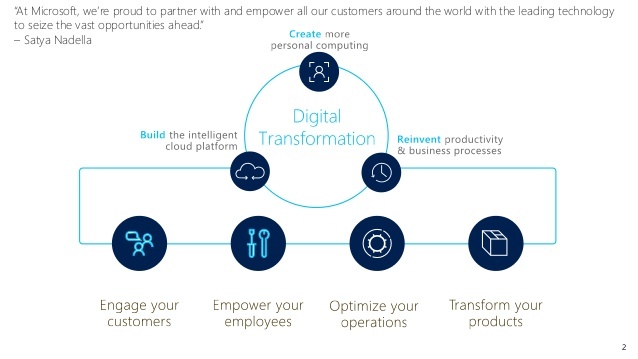 Analysing the data, generate analytics out of it, using analysis for enhancing internal operations, introducing or updating product offerings and serving customers is base for digital transformation for every organization. Technology innovations like cloud computing, AI, big data, IoT and social media are providing acceleration to digital transformation. Among all innovations, power of cloud computing is utilized in every innovation due to its reach and scale.